Former Presidents Jimmy Carter, George H.W. 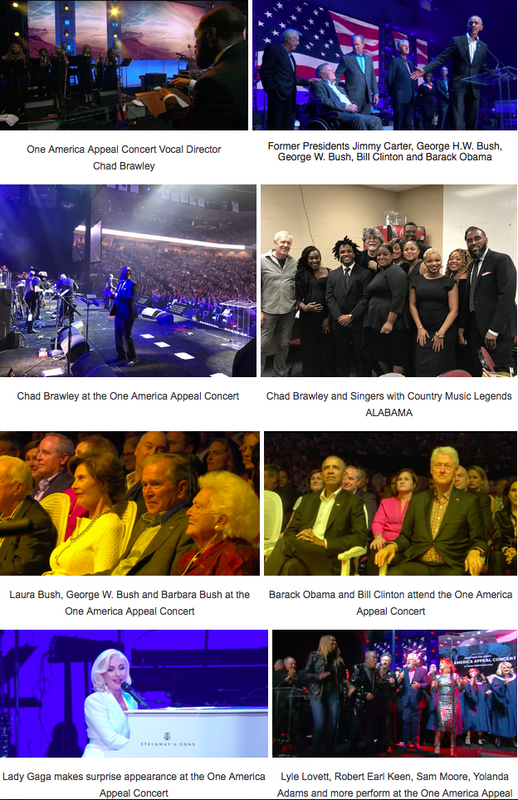 Bush, Bill Clinton, George W. Bush and Barack Obama teamed up for The One America Appeal Concert at Texas A&M University in College Station, TX on Saturday, Oct 21. The One America Appeal Concert raised over $31 Million to assist victims of the devastating hurricanes in Texas, Florida, Puerto Rico and the U.S. Virgin Islands. This was the first time five living former U.S. presidents appeared together since 2013. Joining the presidents on stage was an all-star lineup of musical guests and performers. Amongst the performers was Worship Minster Chad Brawley who served as vocal director for the concert. The Walker Entertainment Group sought after Brawley to lead the vocal production of the One America Appeal Concert because of his expertise and training in music and arts. Brawley has demonstrated years of professional experience in building and directing choirs, praise teams and bands as well as educating, cultivating and consulting ministries and arts entities. 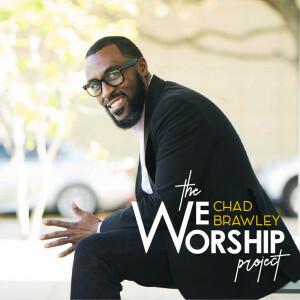 Brawley is Director of Worship Arts at The Luke Church of Humble, TX and recently released his debut album THE WE WORSHIP PROJECT which landed on the Billboard Top Gospel Albums Chart at #30. THE WE WORSHIP PROJECT features Brawley’s hit worship song “Greater” featuring Daniel Johnson. Preview and purchase the album by clicking here. Brawley and his singers provided background and feature vocals for performers Lyle Lovett, Robert Earl Keen, Sam Moore and Yolanda Adams. Lady Gaga made a surprise appearance, donated $1M dollars for victims and announced she was establishing a mental health program to support survivors. The One America Appeal Concert can be watched in full on YouTube or on the One America Appeal Facebook page. Donations can still be made at https://www.oneamericaappeal.org/ to support those affected by the series of terrible storms. This entry was posted in Gospel, Pictures, Reviews, World News and tagged Barack Obama, Bill Clinton, CHAD BRAWLEY, George H.W. Bush, George W. Bush, Presidents Jimmy Carter, The One America Appeal Concert by Kris Patrick. Bookmark the permalink.